Ryan & Ryan represents property owners in eminent domain cases involving METRA and Chicago Transit Authority (“CTA”) Projects. Currently, Ryan & Ryan represent five parcels on State Street in Chicago in condemnation cases filed by the CTA for the 95th Street Terminal Improvement Project along the CTA Red Line. Previously, Ryan & Ryan represented four parcels in Downers Grove for the underpass related to the METRA Belmont Avenue train station. We also represented seventeen parcels in condemnation cases filed by the CTA for the Brown Line Expansion Project, primarily located in the Lincoln Park and Lakeview neighborhoods of Chicago. In these eminent domain cases, Ryan & Ryan obtained just compensation for full takings, as well as partial takings and air easements. Two notable results against the CTA can be found on our Selected Results page (Parking Lot in Chicago, Illinois & CTA Acquisition of three-story retail building). 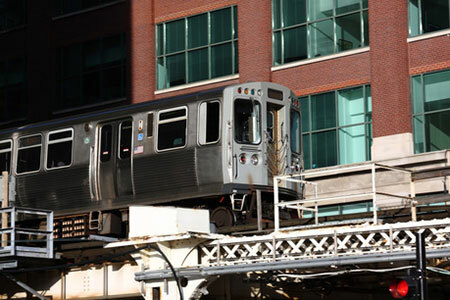 The CTA has determined a plan to extend the Red Line’s south branch more than five miles. The proposed route would extend the line from 95th Street to 130th Street. 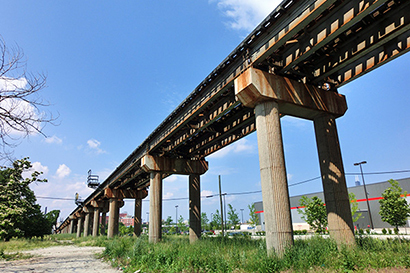 According to the CTA, the final alignment was reached based on feedback from the community and a desire to acquire as few private properties as possible. While earlier iterations of the extension could have consumed as many as 259 parcels, the current plan limits acquisitions to 154 privately owned lots, reports the Chicago Tribune (scroll below to see the impacted properties). 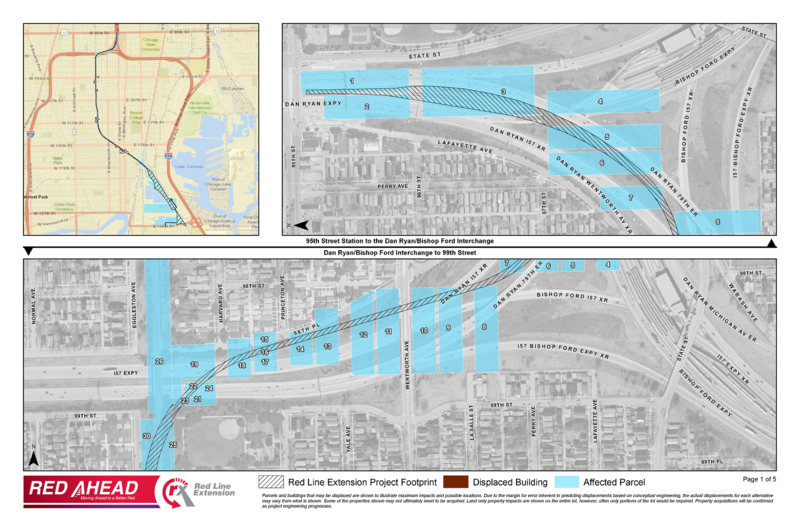 In addition to 5.3 miles of new track, the extension calls for the creation of four new stations at 103rd Street, 111th Street, Michigan Avenue near 115thStreet, and a 130th Street terminal in the Far South Side community of Riverdale. The project is estimated to cost $2.3 billion and will require the CTA to seek financing from both local and federal governmental sources.